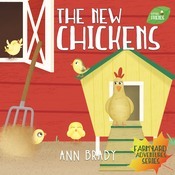 Daddy Cockerel has been crowing loudly because the new baby chickens have hatched from their eggs. They are very cute but Mommy Hen doesn’t know what to call them so she asks the Little Friends to help her. Penny Pig, Hilary Horse and Rover Dog give the names they think along with names from the other Little Friends. 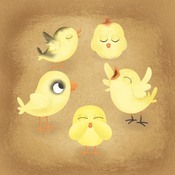 See if you can guess what Mommy Hen called each chick.